headed down to Portsea pier. It was really choppy and cold. We all boarded the boat and had another safety briefing. It was so wavy and the boat was going up and down on every wave. From Portsea pier we went to our first stop, Pope’s Eye. As soon as we got there, we saw a seal and her babies splashing around then we turned and saw some dolphins! 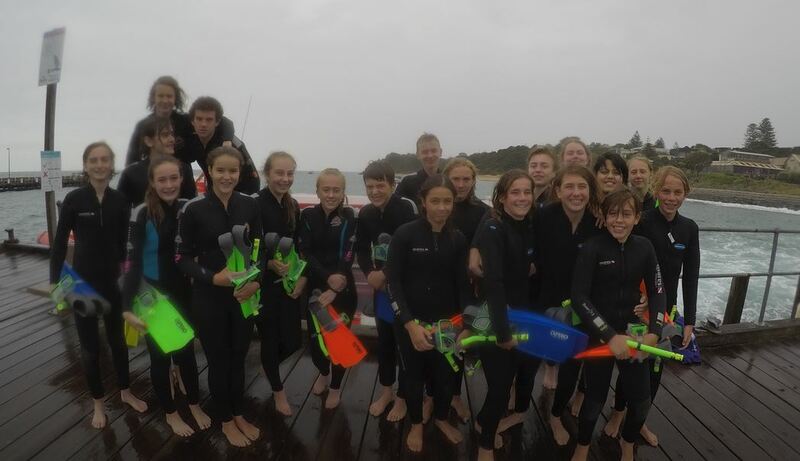 We all jumped off the boat and it was freezing. We stayed in a group and swam around Popes Eye. We saw some huge fish and sea stars. Some areas were deep and you couldn’t touch the bottom. coming near us but then all of a sudden so many were in the water and playing with us! Chinaman’s Hat, I would definitely do it again.